It is very rare for the mainstream media to critically report on questionable activity by the pharmaceutical industry and especially by vaccine manufacturers, so the recent rash of news stories about a “shady” and “patently unethical” offshore vaccine trial funded by billionaire entrepreneur Peter Thiel is intriguing. Twenty patients on the quiet Caribbean island of St. Kitts were reportedly given an experimental genital herpes virus vaccine by a small private vaccine manufacturing company called Rational Vaccines in 2016. A maverick scientist had developed his own risky genital herpes vaccine to inject into unwitting subjects on the secluded paradise island which has pockets of poverty, the story goes. The “weakened but not dead” virus vaccine was particularly concerning to doctors. Unwilling to be fettered by the bother of Food and Drug Administration bureaucratic tangles and impatient to get his drug to market, the scientist had enlisted a ring of “libertarian” tycoons to help him buy his way past the FDA and other regulatory bodies. The headlines zeroed in on the funding role of PayPal founder and venture capitalist Peter Thiel. The comment ricocheted from CNBC and the New York Post to Newsweek and Salon. It’s an admission you rarely hear from the Pharma-controlled press: vaccines can kill. People can die. Live virus vaccines are dangerous, even though we are told they are safe and effective for our babies. The story carried the inference that FDA oversight makes studies so much more trustworthy and ethical. And the implication that anyone, like Thiel, who would step outside that government lifejacket of protection must be reckless and greedy. That is the mainstream version of the story – a mix and match yarn that capitalizes on certain truths while ignoring others. The media has polished the art of paltering – or lying while telling the truth. What is apparently true is that Rational Vaccines’ genital herpes vaccine inventors sound as prematurely confident as most vaccine manufacturers. The company was co-founded by Dr William Halford, who also independently worked at the Southern Illinois University School of Medicine (SIU) until his death from cancer in June this year, and Cuban-born Hollywood filmmaker Augustin Fernandez III. The two men took the “rationally engineered” live Herpes Simplex Virus-2 Theravax vaccine themselves to “prove” its safety before turning to others. Halford was intent on pushing his dream as far into reality as he could by bypassing the regulatory route. “Some readers may find this course of action reckless… I would suggest the opposite…” he rationalized in his lengthy manuscript posted by Kaiser Health. “The risk I accepted by self-injecting the live HSV-2 vaccine pales in comparison to the morbidity that actually occurred in the 1.5 billion people who were newly infected with HSV-1 or HSV-2 whilst FDA sanctioned herpes subunit vaccine trials have failed for three decades,” he wrote. Another noted that Halford’s claim that his rationalized virus is “safe and well tolerated” was not based on actual evidence and in fact, countered by some of his results. Patient CE27 showed a “60 cm2 area of inflamed epithelium” for example. That’s a pretty big lesion but nothing that isn’t known to occur with currently approved vaccines. So what are the paltered facts? Well, for starters, no one died in the trial on St. Kitts. None of the subjects were children and all of them were already suffering, some apparently in a very bad way, from genital herpes. It’s a nasty STD and mainstream medicine hasn’t got anything that works for it. Halford’s “serum” was offered as an experimental treatment as well as prevention from future outbreaks. Not all (if any) of the subjects were exploits from the poor quarters of St. Kitts; some seem to have been eager participants, flown to the island for injections and then flown back to the US as an apparent end-run around the FDA. Rich Hollywooders with a pesky affliction they would do just about anything to ditch? Who knows? In terms of shadiness, the biggest neglect seemed to be that of government hoops. It sounds far more ethical than many routine FDA-approved experiments on children, (see below). In any case, Thiel got in on the act after the Caribbean trial business was done. He was one of a group of seven investors that Kaiser said gave Rational Vaccines a total of about $7 million almost a year after the human trial. Facebook investor Thiel is reportedly one of Silicon Valley’s immortality chasers who has invested in start-ups trying to extend longevity with transfusions of young blood. Billionaires can afford to be invest in things like parabiosis and long-shot vaccines. The mainstream media was just looking for a reason to attack Thiel. They view him as a traitor – a Trump supporter who has openly questioned the value of a modern university education and ridiculed the draconian political correctness of American campuses. 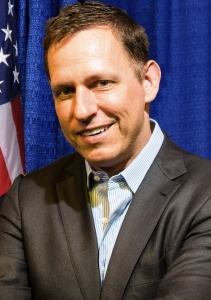 This rational herpes vaccine venture might be celebrated as bold and innovative philanthropy if he were Bill Gates, but the mainstream media doesn’t like Thiel because he doesn’t follow their socially liberal rules and the Big Government playbook. The MSM has no interest in exposing shady offshore vaccine trials. If they did, the Boston Globe would have a Spotlight team full-time on the job. Enter the term “vaccine” into the government database of clinical trials and 7,435 entries pop up. Hundreds of these FDA-approved trials are in impoverished countries. Merck and GlaxoSmithKline pharmaceuticals work at dozens of “investigational sites” scattered throughout India. They are in Nigeria, Thailand, Tanzania and more. Read the descriptions and it is immediately obvious that most of these trials are patently unethical. How do babies in Bacoumana, Mali or Gabon or Kenya consent to yet another failed experimental malaria vaccine? Some of these vaccine trials follow the children for as little as seven days. The typical malaria incubation period is nine to 14 days. Immune-mediated disease and autoimmunity may take years to onset. These documented vaccine adverse events are simply not relevant to marketing the product. As well, a number of duly tracked and FDA-regulated trials have no published findings. Is that because they were unfavourable? There is no government requirement for pharmaceutical companies to reveal negative results. Where study results do exist, they frequently describe previously healthy children who suffer from vaccine-induced damage. One study in Tanzania reports that one-third of the newborns in two experimental groups who received vaccines had serious adverse events requiring hospitalization including accidental “poisoning via the procedure,” infection with the malaria parasite, convulsions, anemia and gastroenteritis. Mild adverse events describe pain in all of the subjects, swelling and rashes. If a father were to injure his child to cause her to have a headache, to deliberately inflict her with gastroenteritis or joint pain, it would be criminal child abuse. 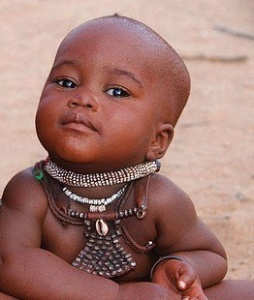 But if the United States Army or Melinda Gates round up healthy babies in Tanzania or Bangladesh and expose them to an experimental vaccine that causes them to be ill, well… that’s progress. More than 6,500 babies from seven African countries were subjects for one malaria vaccine study. These trials have notoriously failed, and worse, vaccinated babies are found to contract the disease at higher rates than those who are supposedly “unprotected.” Why is the media, so concerned about 20 Americans flying to St. Kitts for a herpes vaccine, silent about the injustice to these thousands of children who had no voice in assuming experimental risks? The vaccine’s developers, GSK, the PATH Malaria Vaccine Initiative, the Bill and Melinda Gates Foundation and the US Army have relentlessly pushed on with their quest. “This is not a mission we should just walk away from,” Andrew Witty, chief executive of GSK, said in a press conference in 2014. The mission and the use of innocent children as guinea pigs continue today. How do toddlers consent to be US Army recruits to be assigned an experimental vaccine or a rabies vaccine “control”? How does a thumbprint constitute consent to an experimental vaccine? Who are these “independent countersigners” in Ghana who sign for illiterate people offering their children as guinea pigs for GSK’s drugs? If the mainstream media is concerned about Rational Vaccine’s consent which involved a 14-page form written according to the principles of the Declaration of Helsinki and repeated telephone interviews so we know the people weren’t living in a hut, then why are they not interested in a government-backed GSK vaccine trial that takes thumbprints as consent for children to be given an experimental ebola vaccine in Senegal? Vaccine manufacturers will say they work in poor regions because disease is endemic there, but there is the undeniable advantage that there are no lawyers there as well. Not one of the vaccine clinical trials listed on the government website uses a true placebo – they test “mix and match” vaccine combinations in children who are segregated in “lots.” Children in one lot receive the experiment and children in the “placebo” group receive an old vaccine or the dangerous vaccine adjuvant ingredients. There are no controls. The reason is that studies that so rarely have compared children who got vaccines to children who didn’t provide unwanted evidence. A rare example comes from the work of vaccine researcher Peter Aaby of the Statens Serum Institute, Denmark who recently retrospectively compared children in Ghana who received a DTP shot to those who didn’t and found that the vaccinated children had five times higher mortality. “All currently available evidence suggests that DTP vaccine may kill more children from other causes than it saves from diphtheria, tetanus or pertussis,” Aaby concluded in the study published this year. Pharmaceutical companies have created a myth that withholding an experimental vaccine is unethical when there is zero evidence to back them up. The assumption that a new vaccine is always better than nothing is just that — an assumption. With no science to back it. It is vaccine religion. Across the globe, there are accounts of Western agencies delivering vaccines with deadly results. Vaccine Information Network recently reported on vaccine workers entering an impoverished Ugandan hospital and rounding up all the infants and toddlers for vaccines, regardless of serious medical contraindications including anemia, severe malnutrition and pancytopenia. You would think that they were doling out lollipops, not drugs known to be powerfully immune-modulating and capable of causing documented serious illness. 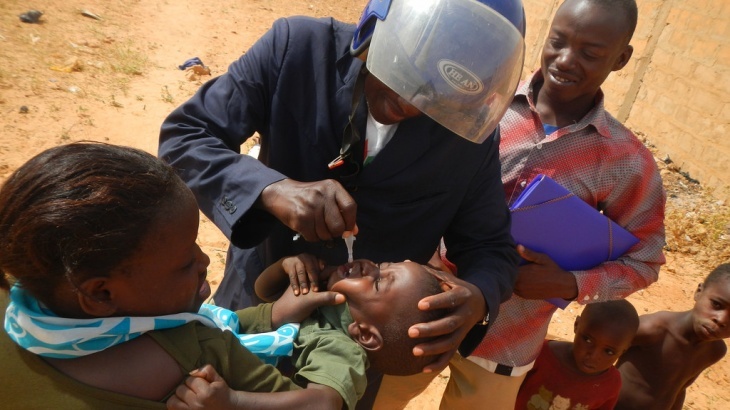 The incidents of vaccine-derived poliovirus – that’s acute polio paralysis caused by the live polio vaccine virus, for example, was reported in children in Congo and Syria this summer and has been reported in scores of other countries including Nigeria, Pakistan, Madagascar and Chad. Tens of thousands of cases of acute flaccid paralysis which is clinically identical to actual polio have been ignored in India and linked to the use of the live virus oral polio vaccine there, while public health officials ridiculously pronounced the country polio-free. There is a long history of international public health and population control agencies covertly testing both birth control devices and drugs as well as contraceptive vaccines in the developing world. A newly published review confirms the allegations by Catholic Bishops in Kenya that women in the country were given tetanus vaccines laced with a tetanus-toxoid conjugate designed to induce early miscarriage without their knowledge or consent. All of this information has been under the noses of foreign correspondents and editors at the big media for decades. As with the pedophelia scandals, the case is there to take down Big Pharma on these abuses but it won’t happen while they are financially tied to them and the Pharma-religion culture is not ready for the truth. The hard truth is that Americans, and Westerners generally, are as wedded to the delusion that vaccines can prevent all manner of illness as Silicon Valley billionaires are wedded to transhumanism. While they inject their vaccines and down their drugs with their morning juice, confident that these things have been tested on someone else somewhere, they don’t realise that they are the test subjects. The fact is all vaccines are ongoing clinical trials. Nowhere has the entire schedule of vaccines been tested against a genuine placebo. Ever. The closest research available to this kind of study is very disturbing. Most of the vaccines our children are injected with are younger than a few decades old and many are new. The flu vaccine is new every year and can never be adequately tested before it is doled out to millions, including children. Pharmaceuticals bury the bad data and launch these vaccines and then do what’s called “post-marketing surveillance.” But as with the raw data, they only show what they want to show. Occasionally the problems can’t be ignored – like the 13-fold elevated risk of narcolepsy and the heightened risk of juvenile diabetes among children who received GSK’s experimental Pandemrix flu vaccine which was quietly pulled from the shelves. Or the seven-fold risk of miscarriage among vaccinated pregnant women. Or the painful intussusception caused by Paul Offit’s rotavirus vaccine in hundreds of reported cases of American children and likely hundreds of thousands across the globe. No one is measuring long-term or subtler effects of flogging the immune system into action against a growing onslaught of provocations. American children who receive the highest number of vaccinations are sicker than any previous generation, doled out psychiatric medications by the millions and dying of drug addictions in epidemic numbers. Modern children’s immune systems are deeply damaged and immune-mediated diseases from autism, asthma and allergies to autoimmune diseases of all sorts are soaring and the trajectory is skyward. If the media has any genuine interest in shady vaccine trials, ugly as the stories abroad are, the biggest story of all is not offshore.